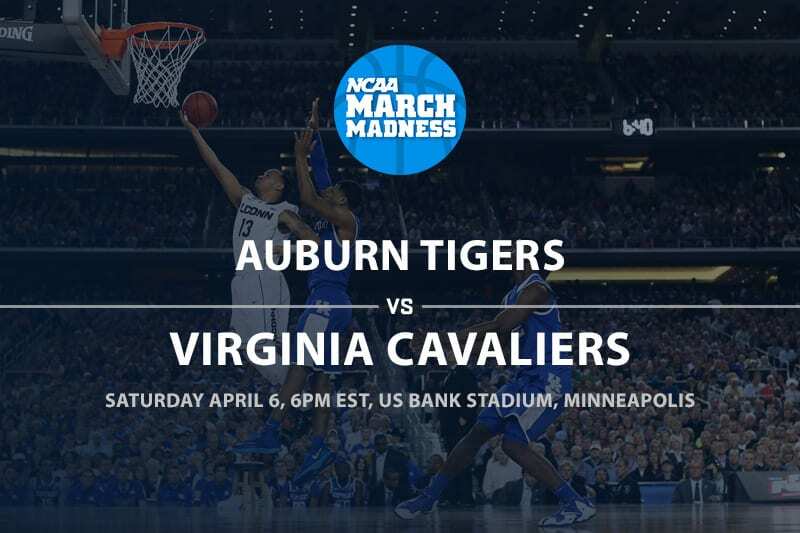 The Auburn Tigers (30-9) will look to keep their incredible March Madness run alive as the lowest seed still remaining when they take on the #1 seed in Virginia (33-3) on Saturday night. Auburn is the fifth seed from the Midwest Region and in their last three games they have taken out three higher seeds and some giants of college hoops in Kansas, North Carolina, and Kentucky. The Tigers have averaged 85.3 ppg in their four Big Dance games and now face a Virginia team that has the top-ranked defense in the nation. Oh how the tide has turned for Virginia. Last season they were a top seed and made history by becoming the first every #1 seed to lose in the first round. 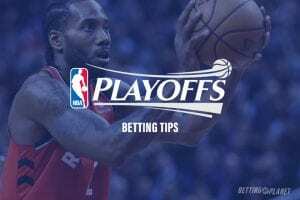 The Cavaliers are balanced with a great defense and after only giving up an average of 52 ppg in their first three tournament games they gave up 75 points in their last game while scoring 80. These teams have not met since the 2009 season. This season Auburn is 21-16-1 ATS and they have an Over/Under record of 22-16 and Virginia is at 25-11 ATS with an Over/Under record of 16-20. In their Elite 8 game Auburn beat Kentucky 77-71 in OT after losing to them twice in the regular season in SEC play. They outscored the Wildcats by five points in the second half and then outscored them 17-11 in the overtime. For the game, they shot a lower FG% (40% to 43.3%), but they shot the 3-pointer better, shot a much better free throw percentage, and forced five more turnovers. Jared Harper went for 26 points on 7/18 shooting and Bryce Brown had 24 points on 8/12 shooting and they were the only two players for the Tigers to score over eight points. Brown leads Auburn averaging 16 ppg and he has scored at least 25 points in two of his last three games. Harper is averaging 15.4 ppg and he only had nine points in the game before going for 24 against Kentucky. 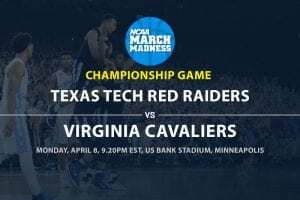 Chuma Okeke is the 3rd leading scorer and leading rebounder for the Cavaliers, but he was injured in the Sweet 16 win over North Carolina and is out for the rest of the tournament. In Virginia’s Elite 8 game they beat Purdue 80-75 in OT. While they shot a significantly lower FG% (49.1% to 41.5%) they only had five turnovers and they had twice as many offensive rebounds as the Boilermakers (17-8). Four players for the Cavaliers went for double figures with Kyke Guy going for 25 points and 10 rebounds and Ty Jerome with 24 points. Guy is tied for the team lead in scoring averaging 14.9 ppg and he had only totaled 20 points in the previous three NCAA Tournament games. De’Andre Hunter is also averaging 14.9 ppg, but he has not scored over 11 points in any of his last three games. Jerome is the only other player in double digits on the season at 13.3 ppg and before going for 25 points in the OT win over Purdue he had been around his season average in the other games. The closest game Auburn has had in the Big Dance was their opener, facing 12th seed New Mexico State. The Tigers are rolling, having won their last game without their third leading scorer and leading rebounder. Auburn is hot and confident, but this may be Virginia’s season. The Cavaliers will play solid D, as usual, and while we think they will get the win, it will not be easy and in a close game Auburn will cover the spread.